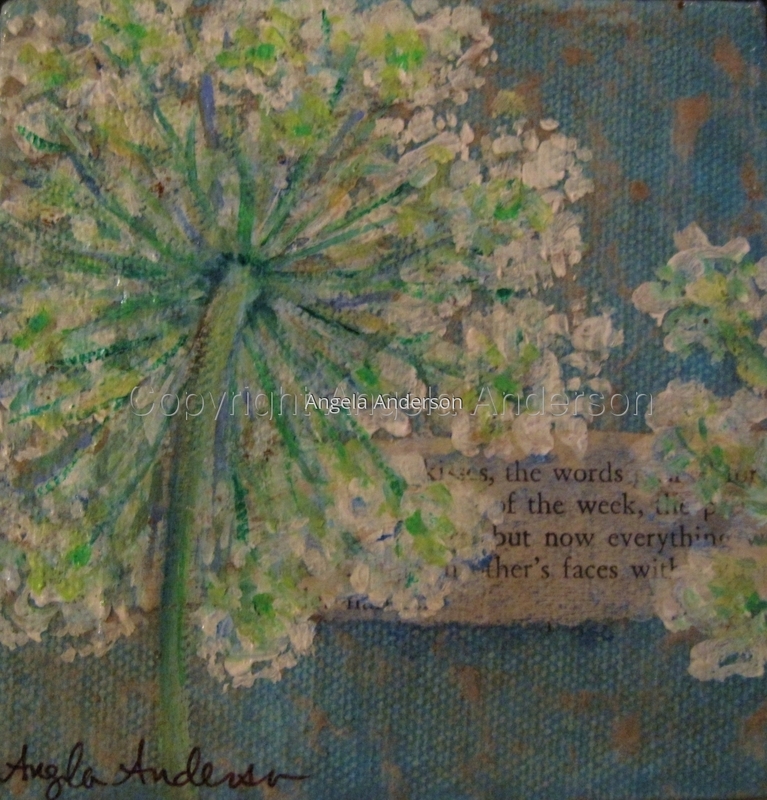 Mixed media floral painting. Acrylics on canvas. Queen Anne's Lace.